I’m a strong believer in social media: Facebook, Twitter, Instagram and the like. And few in the lumber and building materials industry would suggest they don’t need to have a presence on it. But too often I see this new digital frontier being treated as a one-off effort. Like any worthwhile project, social media requires a long-term approach to build and maintain; it’s not a one-and-done, fire-and-forget endeavour. Social media can be an extremely valuable marketing and branding tool for lumber and building material dealers who take the time to understand the opportunity, and devote the time and resources to make the most of it. 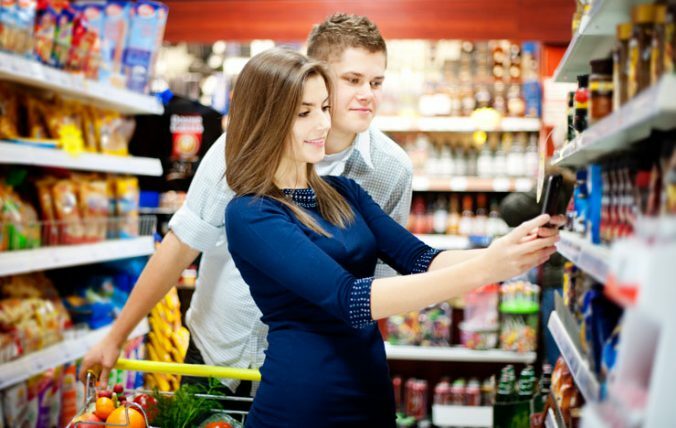 Today’s Consumers are Smarter, but are They More Rational? There’s no question that today’s consumers are smarter and better informed. They have access to the Internet for everything. Online reviews from friends and family confirm whether or not a product is worthy of your attention. Studies show that nearly 9 in 10 consumers read online reviews to determine the quality of a local business or product, and almost 4 in 10 do it on a regular basis.1 This trend is predicted to grow. But, as consumers, are we more rational? Evidence suggests that this is more myth than fact. Hard Work or Talent: What Does it Take to Succeed? If you love sports like I do—whether it’s baseball, basketball, football, hockey, golf, or tuning into the Olympics—you probably marvel at the phenomenal ability of the athletes involved. You have to wonder what makes them so talented, so gifted, that they can perform at such a high level, day, after day. These talented athletes make plays we mere mortals can only dream about. Where does that extraordinary ability come from? Is greatness a genetic gift that these athletes are born with? Is the same true in business? Are successful entrepreneurs born with a business gene? We often refer to it as the Midas touch: whatever they touch turns to gold. Or, can anyone be great at what they do? Where Have All the Tradespeople Gone? The bigger question is: where are all the tradespeople going to come from? In Canada we may see a shortfall of one million workers by 2020 due primarily to an aging population and declining birth rates. As Baby Boomers gear up for retirement, there simply aren’t enough of the next generation to fill those vacant jobs. What’s at the Root of Most Business Problems? When communication breaks down, businesses break down. To be successful, we must keep communications simple (and, as direct as possible). The more complicated the communication process, the more likely there is to be miscommunication, confusion and, ultimately, mistakes. In the 1960s the U.S. Navy developed an acronym (KISS) for the design principle suggesting that most systems work best if kept simple rather than made complicated. Back then even the Navy recognized we made things more complex than they needed to be. In business, it’s a real detriment. Just look at the headlines any given week and you see numerous merger and acquisition (M&A) news. Like it or not, consolidation is a given in all industries, and it looks like 2016 will be a banner year for them in Canada. Consolidation can often be great for companies, consumers and the market in general. Successful mergers should create operational, financial and managerial synergies, which become a boon to the supply chain and consumers alike; however, not all mergers and acquisitions are successful. In fact, a KPMG study suggested that 83% failed to produce any benefits for shareholders and more than half actually destroyed value. Is Our Educational System Meeting the Needs of Future Entrepreneurs? I wrote recently about how small businesses and entrepreneurs are the lifeblood of our country’s success, but are we doing enough to provide entrepreneurs with the skills they need to succeed? Empowered employees are better employees. And this naturally leads to companies becoming more agile and better able to serve client needs, and therefore more likely to succeed. I believe that empowering employees reduces absenteeism, increases satisfaction and elevates employee morale. They are happy, energized and eager to go to work. While part of this is common sense, empowered employees are not as common as you might imagine. To truly empower your employees means allowing them to make informed decisions, rather than clearing everything through managers. It increases accountability, but also gives the employees a vested interest in the company’s success. Basically, it creates buy-in and drives fidelity with employees. The value of these two sorely underused words goes far beyond a simple courtesy, which alone might be reason enough to utter them more. Saying “thank you” (or just “thanks”) will help maintain and grow your business. I observe people. What makes people tick and do the things they do is a lifelong passion of mine. Why do I always go to the same butcher shop? Why does Jane take her car to the same mechanic? What keeps Tom going back to that same grocer week after week, even in light of new competition? In part, it’s their routine, but what drives and reinforces these particular routines?